Free Screening at UCLA with Director Katabuchi and Producer Maki! One Year and still in theaters! 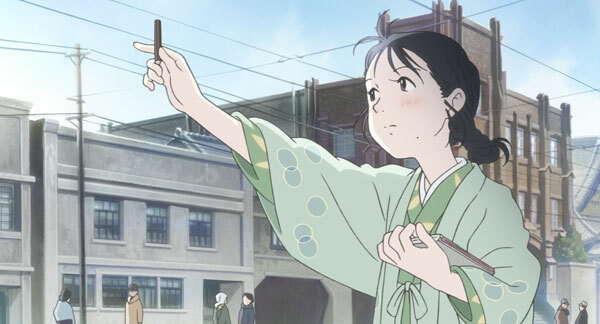 “In This Corner of the World” keeps moving forward! 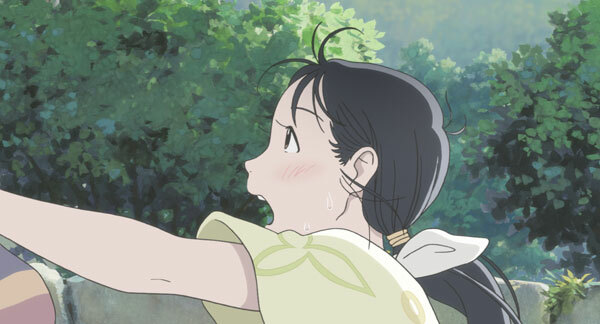 In This Corner of the World opens in France today! The actress that gives life to Suzu and the music of Kotringo. 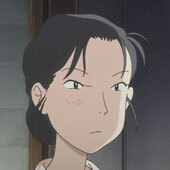 The acclaimed actress Non plays the main character Suzu and according to Director Sunao Katabuchi, he cannot imagine anyone else for the role. Her gentle and soft voice is accompanied by the voice acting skills and talent of Yoshimasa Hosoya, Natsuki Inaba, Minori Omi, Daisuke Ono, Megumi Han, Nanase Iwai, Ushiro Shimane and Mayumi Shinya. Even Shochiku’s Tengai Shibuya has a special appearance. Kotringo is in charge of the music, making her incredibly naturally soft voice a sweet caress that gently envelops the world of Suzu. 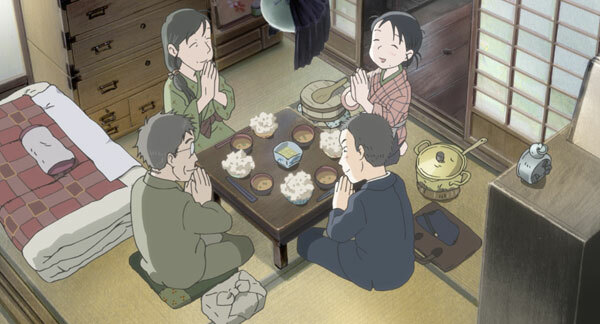 The previous film by Sunao Katabuchi, “Mai Mai Miracle” (2009), which won the Excellence Award at the 14th Annual Media Arts Festival, greatly resonated among the audiences and achieved an exceptional long-run screenings. Now, based on a several year process of accumulating documents, field survey and an unprecendented amount of interviews, his incredibly thorough research brings us to Suzu’s endearing everyday life. As for the original works, the manga won the first prize in the 13th Media Arts Festival Manga Division along other important accolades. 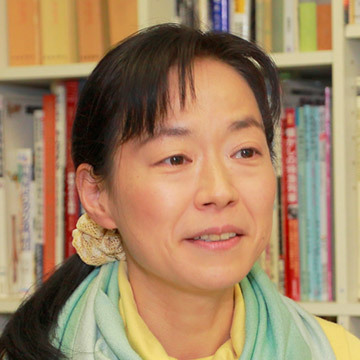 And also thanks to a vast amount of informative research and an ever-challenging attitude towards manga innovation, Fumiyo Kouno received the support of thousands of fans and bookstores. 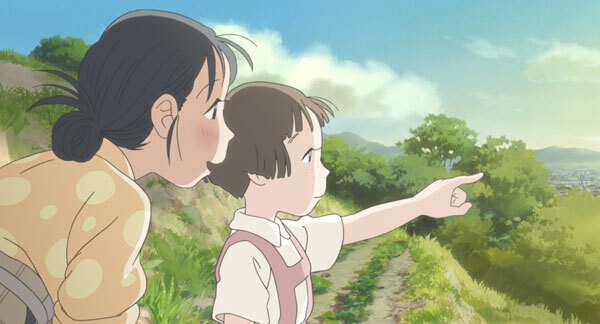 The two joined forces in the NHK animation “Flowers Bloom”, and delivered fantastic results, only to do so again now in this feature film to the delight of many in 2016. The campaign was called “I want to see this movie” and gathered 39,121,920 yens for its initial production funding from 3,374 supporters. 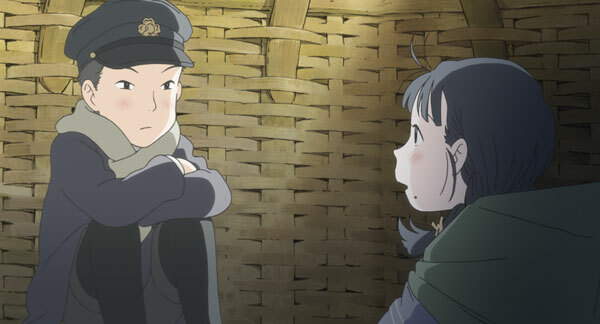 “In this Corner of the World” happened thanks to these voices from all over Japan, and those voices have turn into a light that will continue to shine for many, many others. This film that they helped create will undoubtedly be loved for the next 100 years. The unprecedented circumstances 18-year-old Suzu has to face. The story begins when, in February 1944, for better or worse, Suzu becomes a bride in Kure, a major base of the Japanese Navy at that time. 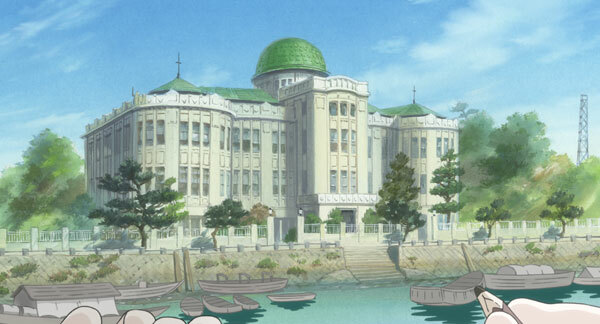 This was the city where the Navy’s largest battleship, the “Yamato”, was also based in. 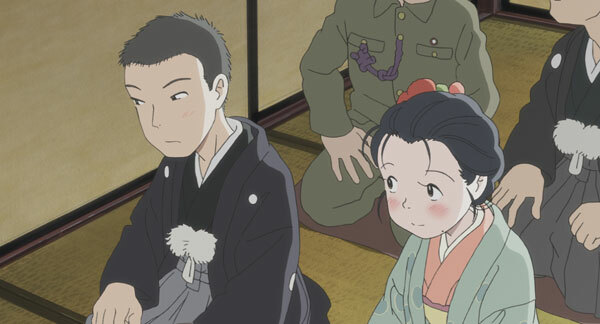 As a bride in a strange land and coming from Hiroshima City, Suzu becomes the wife of civil official Shusaku Hojo. Moving in with her new husband’s kind parents, she starts her new life along her very strict sister-in-law Keiko and her sweet daughter Harumi. Along with the nice neighbors Mrs. Chita, Mrs. Kariya and Mrs. Domoto, she discovers the joys of everyday life in Kure. However, supplies become scarce gradually, forcing Suzu to make do with whatever she can for food and clothing, still being able to sometimes draw a nice picture of their daily life. One day, Suzu gets lost in the city and meets a courtesan called Rin who is somehow linked to her. On another time, she meets her old classmate Mizuhara who has become a sailor in the cruiser “Aoba”, an encounter with unexpected mixed feelings. Born in Eba within Hiroshima City. She loves drawing. As a child, she has mysterious encounters with interesting creatures and sprites. 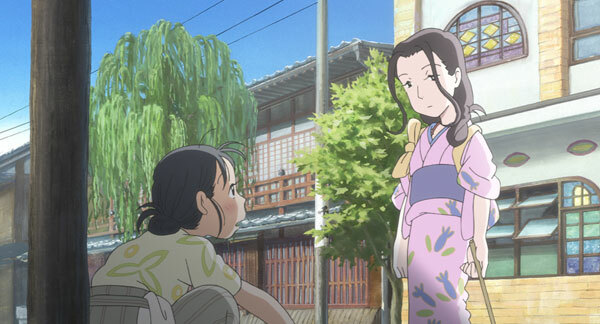 At the age of 18, she gets married in Kure and her new life begins in the Hojo household. 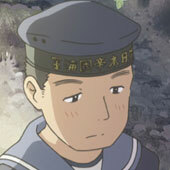 A worker at the Navy Military Council that first met Suzu when they were kids. 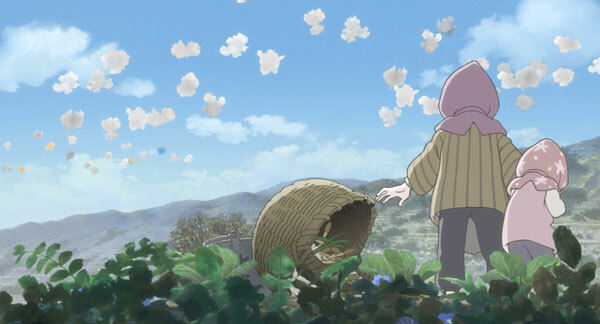 A tender husband that welcomes Suzu in a land and environment completely unfamiliar to her. Shusaku’s elder sister that returns to the Hojo family with her young daughter Harumi. Unlike Suzu, she’s very snappy. Shusaku’s 5-year-old niece. She quiclky befriends Suzu and spends her days drawing pictures and watching boats. Suzu’s Elementary School class-mate that was somewhat of a bully. 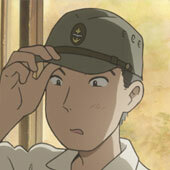 He joins the Navy and becomes a crew member of heavy cruiser “Aoba”. On a certain occasion he visits the Hojos. A courtesan working in the outskirts of Kure. She helps out Suzu and becomes her friend. She share with Suzu her view about our place in the world. Animation film director born in 1960. Participated as a screenwriter in Miyazaki’s “Sherlock Hound” animated series while still a student in the Japan College of Art. He was then also part of “Kiki’s Delivery Service” in 1989, which was also directed by Miyazaki. His debut as director was the animated series “Lassie” in 1996. While his first feature film was “Princess Arete” in 2001. Later on he directed, wrote and was in charge of series composition for animated series “BLACK LAGOON” in 2006. By 2009 he directed the “Mai Mai Miracle”, which told the story of a girl in Yamaguchi prefecture in the 1950s. The movie organically spread by word-of-mouth and achieved an exceptionally long screening period as well encore screenings. 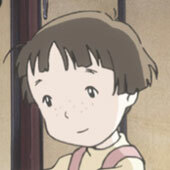 He also directed NHK’s reconstruction effort “Flowers Bloom” in 2013, with Fumiyo Kouno as character designer. I’d like to portray the sense of ordinary daily life in animation. 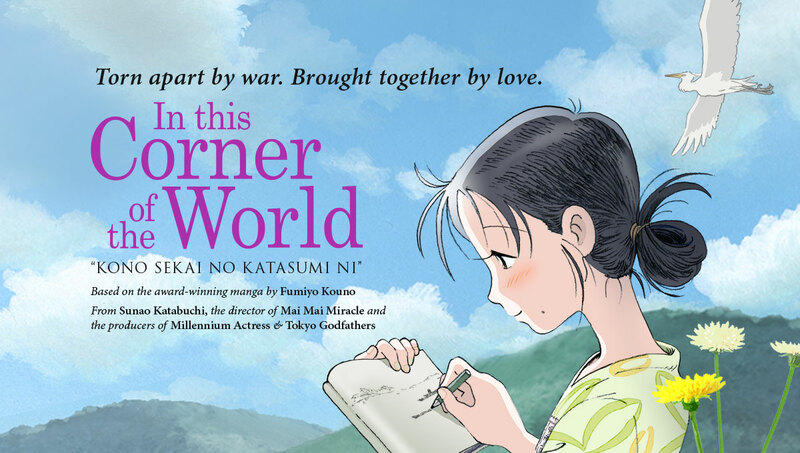 “In this Corner of The World”, while facing war, so the wonder of everyday life is highlighted. Everyday life becomes a miracle on itself by observing regular people’s emotions go by. This is why I knew I had to do this. I believe that the movies that are made are not limited by what we can create but by what the audience can imagine. Thus, if you go outside of what regularly is encompassed in a video clip, you can make a movie that can go beyond and spread anywhere in the viewers’ minds. To pursue reality is not to find the limits of the world, quite the contrary, I believe that what exists in the world can be perceived through the things that we cannot see, those that we can only imagine. 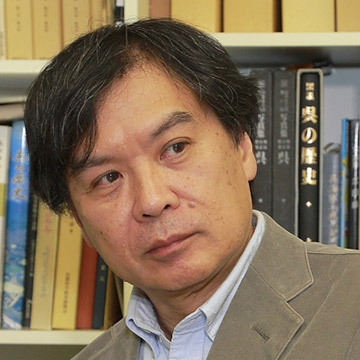 Manga artist born in Hiroshima Prefecture in 1968. In 1995 she debuted with “Machi Kado Hana Dayori” and obtained the 8th Annual Media Arts Festival Manga Division Award as well as the 9th Osamu Tezuka Cultural Award for “Yunagi no Machi Sakura no Kuni” in 2004. 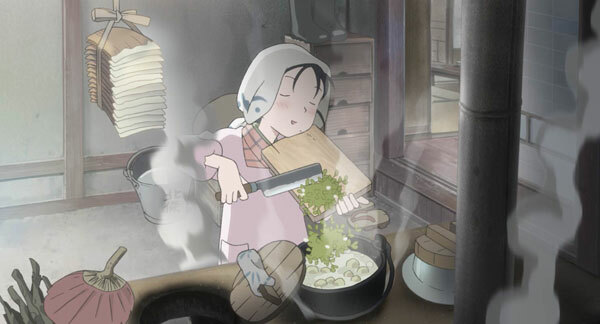 She created the serial manga “In This Corner of the World” from 2007 to 2009 and won 13th Japan Media Art Manga Division Excellence Award, “THE BEST MANGA 2010 Read this manga!” No. 1 Award and the “Da Capo Special Edition Best Book of 2010”. Other knows works include “Nagai Michi”, “Pippira Chou”, “Kokko-san”, “SanSan’s Memories”, “Ball-Pen Kojiki”, “Bird of the Day” among others. 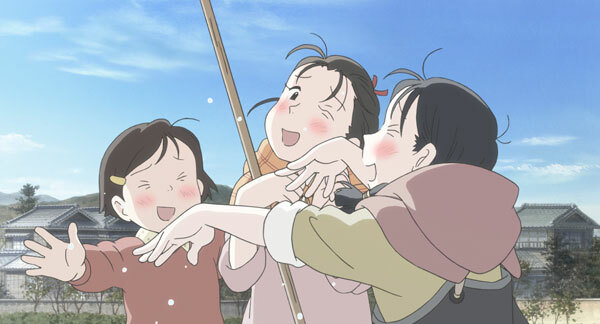 “In This Corner of The World” has enabled me to have so many wonderful encounter with so many amazing people. I’ve been more fortunate that I would have ever expected and this has launched me into an ocean of possibilities seeking so much more in the future. “War” is quite a complicated topic, but I’m positive it’s better if more people talk about it. Everyone has a different opinion and the more voices we listen to, the more diverse an understanding we can have. Manga is a means of communication usually read by one person at a time, however movies are seen simultaneously by large groups of people. This makes the movie an instant topic of conversation between those people, and I would be delighted if this triggers even more fruitful communication between generations. Singer and songwriter. 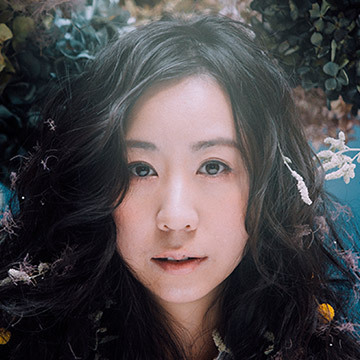 After meeting She was discovered by Ryuichi Sakamoto in 2006 and debuted with the single “Hello, see you tomorrow!”. Since then, she has released nine albums. Including singles like “I have to buy new shoes” (2012 / Etsuko Kitagawa) “Kuma no Gakkou ~ Jackie and Keity ~” (2010 / Tetsuro Kodama). Having also participated in original soundtracks for feature films and animation series, she’s usually very supportive of creators, including TV commercials music. She recently joined KIRINJI and started working as a band. In director’s Katabuchi’s previous film “Mai Mai Miracle”, she was in charge of the theme song “The Children’s World”. She is recognized as a female singer and songwriter who new worlds of feelings with her outstanding piano performances and soft voice. When I was asked to be part of the project, I was really excited I could cooperate with Mr. Katabuchi’s delightful work. When I first read the original manga, I was strangely enthralled. Somewhat different from war times stories I had read before, mainly because of the way ordinary life of regular people are not ever described in such detail, which matched exactly with the fantastic attitude of the main character Suzu. Now, when I had to arrange the main theme song for the movie, which was used for the trailer, I imagined Suzu’s feelings and tried to express them as vividly as possible via instruments. Born in 1955, he has produced legendary animated series like “Mobile Police Patlabor”, “Sword Art Online” and “No need for Tenchi!, as well as feature films like, “Millennium Actress”, “Sword Art Online – Ordinal Scale” and dozens of others. He is also the president of the animation planning/producing company Genco Inc.
A successful animator with important participations in Studio 4° C, Mad House and other high caliber studios. In 2001, she collaborated with Director Katabuchi in “Princess Arete” taking care of storyboards, composition and animation director. 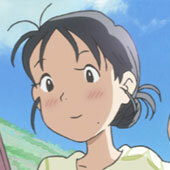 While in “Mai Mai Miracle”, she helped Director Katabuchi create the world setting. Animator, character designer and illustrator born in 1965 in Toyama Prefecture. 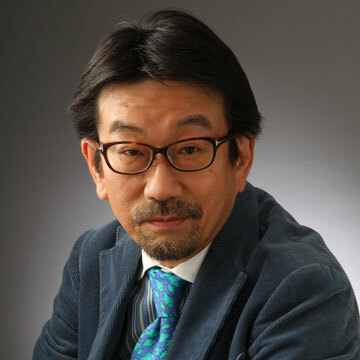 After joining Gainax, he was involved in various works such as Hideaki Anno’s “Nadia of the Blue Water” (1990 – 1991) and “Neon Genesis Evangelion” (1995-1996). 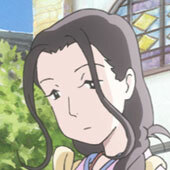 After that, as a freelancer, he participated in major works like “Sakura Wars” (2000) and “Oh, my Goddess!” (1993 ~ 1994). He has also been part of the new “Evangelion” theatrical series that started in 2007 as animation director. He was also in charge of character design in “The Princess and the Pilot” (2011). In addition to numerous TV series, he worked in theatrical works like “Biography of Gusukobudori” (2012 / Director Sugii Gisaburo), “When Marnie was There” (2015 / Director Hiromasa Yonebayashi), “Boy and the Beast” (2015 / Director Mamoru Hosoda). He was also one of the art directors of “Giovanni’s Island” (2014 / Director Mizuho Nishikubo). Born in 1941, he is the president of MAPPA Co., Ltd. A living legend in the world of Japanese animation whose most renowned works include films by also legendary directors like Satoshi Kon with “Millennium Actress” (2002), “Paprika” (2006), and Shinichiro Watanabe with “Terror in Resonance” (2014).